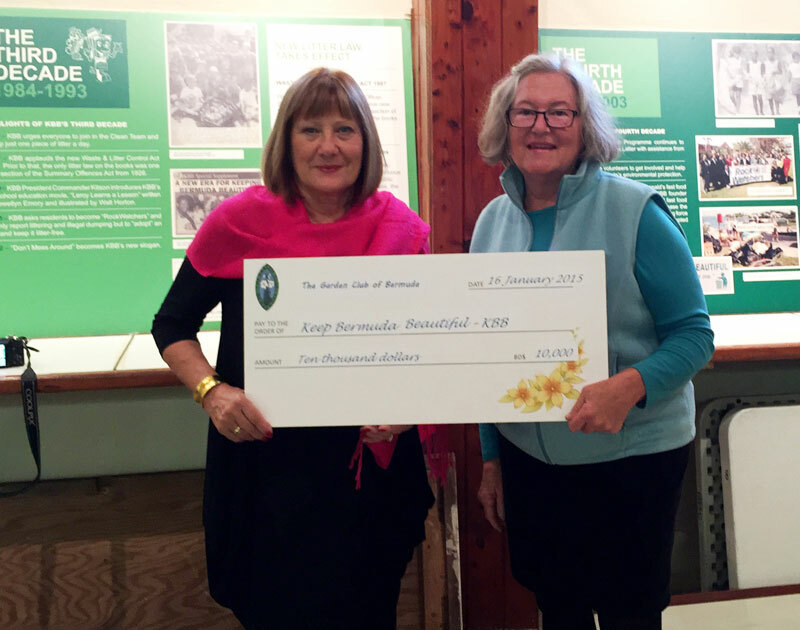 KBB’s Executive Director, Anne Hyde, was on hand to accept the donation and to express her deep gratitude to the members of The Garden Club. “Last year KBB felt the financial pinch, as did other charitable organization. “We are extremely pleased to start this year on a positive note with the support and generosity donation from The Garden Club. It is an honour to know that they confidently support KBB’s work to protect our Island.” said Ms. Hyde. KBB was originally an offshoot of The Garden Club. KBB continues to provide awareness and education about the danger that litter poses to Bermuda’s beauty, wildlife and the health of the environment. Volunteers assist with neighbourhood cleanups throughout the year. A schedule of cleanups can be found at kbb.bm. Wonderful news of support for this important charity who assists us consistently in our efforts to keep our environment beautiful – so we can continue to host ourselves and our guests. Keep up your good work Anne Hyde.